Many doctors are frustrated that electronic medical records have resulted in more time on the computer and less time with patients. But others have found clever workflow innovations that turn documentation time into meaningful patient interactions. What if thorough EMR documentation didn’t always mean staring at a screen and getting distracted from patient care? What if you didn’t have to choose between spending time with patients and finishing charts before you leave the office? Some providers don’t choose, and their workflow secret is simple: use the latest technology to document as you go, and communicate effectively about it with patients. Take Dr. Mark Casillas for example, an orthopedic surgeon in San Antonio, TX. Dr. Casillas uses his iPhone and a secure mobile app called Mobius Clinic to dictate notes directly into the EMR in real time. Using his smartphone for medical dictation, Dr. Casillas has found a way to engage patients while documenting their visit in the EMR. Previously he had to leave the exam room to type notes or interrupt the visit by looking down at a laptop. Now Dr. Casillas maintains eye contact while dictating directly into the EMR using his iPhone. Better yet, he uses this process to engage patients and ensure that his notes are accurate. In short, he has found a way to complete his clinical notes while getting credit for patient interaction. He has solved a dilemma may providers face in the era of EMRs. Communication is the key to an innovative method like real time dictation on a mobile device. While mobile medical dictation itself is easy and intuitive, patients still may not be comfortable with a smartphone in the exam room. 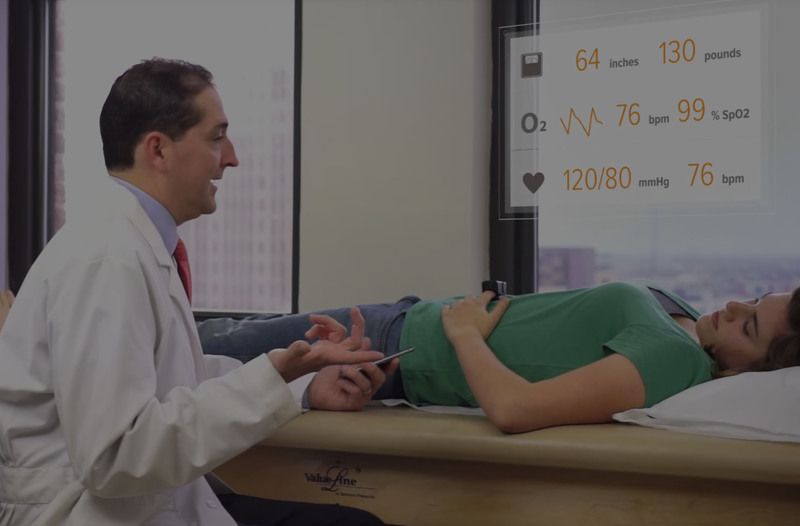 Comfort with smartphones in medicine is changing fast, but it’s still important to explain to patients when you’re using a smartphone for clinical purposes. A 2016 study at St. Mary’s Hospital in London found that while 9 in 10 patients owned a smartphone, over 60 percent still thought physicians using their phone at work was unprofessional. Most physicians are already good communicators and basic gestures go a long way toward effective patient-provider interactions. Simply extend what you already know and tell patients why mobile dictation helps you provide and document excellent care. Research also shows that how we talk about health care technology matters. The word “technology” has overwhelmingly positive connotations, but health care is more complex. Many patients are understandably skeptical of technology described as uncertain or experimental. When talking about beneficial technologies with patients, providers should always emphasize value and innovation. Mobile dictation can save hours of documentation time weekly. But it’s up to providers to educate patients and frame smartphone use as an innovative and efficient way of documenting care. When done well, mobile medical dictation can turn documentation time into meaningful patient interactions.